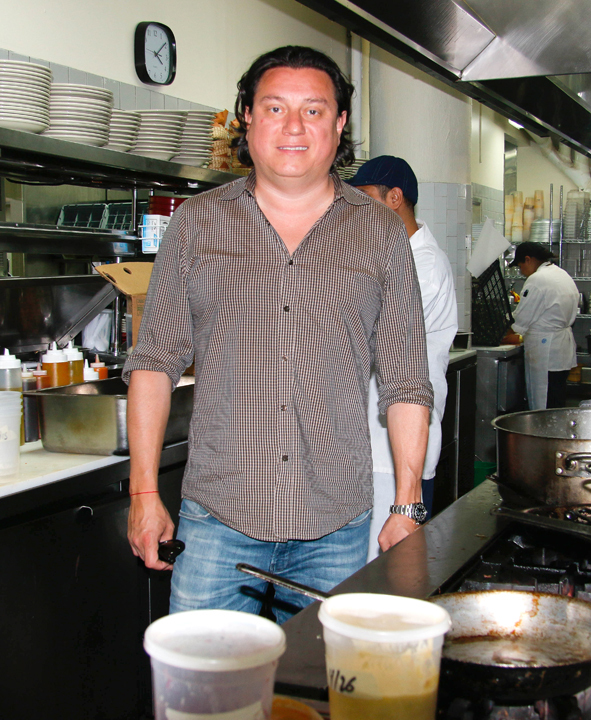 Nine months ago, chef-owner Julian Medina opened up Tacuba Mexican Cantina in Astoria. Medina, who hails from Mexico City, envisioned a restaurant that would provide an upscale standard to Mexican food. It’s also the result of years’ worth of risks the chef has taken. Medina grew interested in cooking after watching his father and grandfather in the kitchen. Then 16-year-old Medina started following his role models and began cooking as a hobby. Once he graduated prep school, he was unsure if he could make it as a chef. Still, Medina tested his passion for the culinary world by applying to various restaurant jobs. He began as an unpaid hourly worker but eventually earned a spot at a hotel restaurant when a chef hadn’t shown up to work one day. From there, the rest is history. He worked at the hotel for three years before deciding it was time to see the world beyond Mexico City. A friend used a connection in New York to land him an interview, and while he was rejected at first, the company asked him back within the next day and he has been cooking here ever since. Fast forward to present day and Medina has ownership in seven restaurants around the city. Through his experience, he has developed advice for anyone who wants to cook for a living, whether they are currently an executive chef or an intern. He chose to open Tacuba in Astoria because he believed there was potential for a casual yet swanky Mexican restaurant in the neighborhood where he lived nearly 20 years ago. He was pleased to see that the size of the space was perfectly matched for his vision of Tacuba as a chic city restaurant and bar, contrary to typical Mexican restaurants that usually do not emphasize decor and atmosphere as much as food. One of Medina’s favorite dishes is the lobster ceviche, an exclusive Tacuba dish. He also recommends the aguachile en molcajete dish which features lobster, shrimp, jalapeño, avocado, a cilantro and cucumber-lime mixture. But, in all honesty, there are options up and down the menu to please anyone.